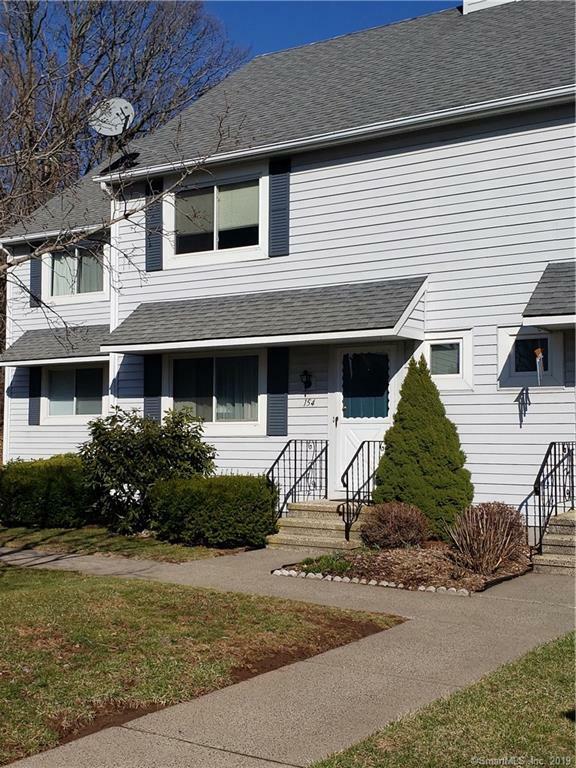 You have it all in this 2 bedroom, 1.5 bath townhouse condo centrally located in CT. It is nestled in a desirable neighborhood with natural lighting in the living room and dining room combo. The kitchen is open and has new counter tops and stove. The full bath has been refreshed with new tile flooring. No need to worry about the heating and cooling systems. The heater and the central air are BRAND new. The outdoor deck is right off the dining-room and is perfect for those summer time gathering right-around the corner. This complex has an in ground pool, tennis court, basketball court, and fabulous heath & fitness center. Major highways and shopping are all approx. 10 minutes away. It doesn't get better than this., The heating was replace in November and the central air is being replaced in April 2019. The coil next to the heater is for the A/C and will be taken care of at the time the A/C is replaced later this month. This is NOT an issue to be concerned about.